We provide high quality reference data on more than 10 million financial instruments, and collect, edit, maintain and deliver pricing and pricing-related data from more than 450 markets and exchanges around the globe. The combination of this high quality reference and pricing data, coupled with proven analytics, can help your firm manage the transition to Solvency II and maintain ongoing compliance. A number of key data attributes and service capabilities required to support Pillar I and Pillar III requirements are also included in our Solvency II data solution. The Solvency II product fully leverages our global expertise in reference data and income data collection. Fixed income data is sourced from prospectuses for better accuracy and completeness of data. We've partnered with Morningstar, a leading investment research firm and data provider with established, full security-level fund portfolio disclosure relationships with global asset managers, to assist your firm with its Pillar I Market Risk SCR calculations and Pillar III asset data reporting requirements by offering a fully standardized and streamlined source of fund look-through data. Attributes in this offering include those captured in the Tripartite template. 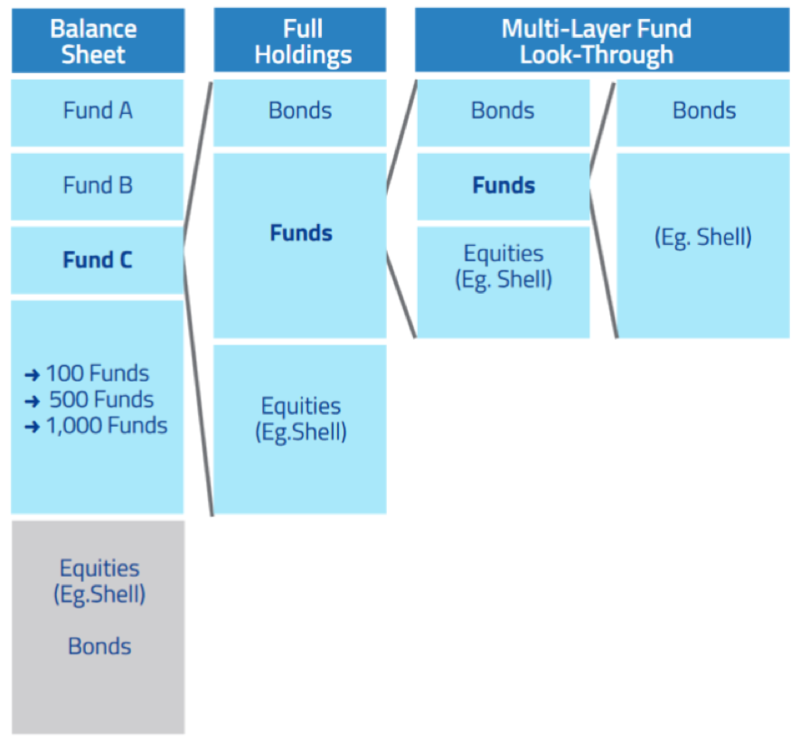 Detailed fund exposures to individual equity, bond, cash and other securities.